Student Housing is in full swing at Bellevue College! 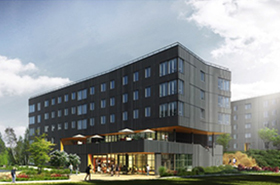 The new Bellevue College Residence Hall offers Bellevue College students the opportunity to live and engage on-campus! This community is home to up to 400 students in a variety of suites and apartments and includes plenty of community spaces for studying, meeting, and socializing. The community is built with sustainability in mind and has many features that support this value, such as a rain garden, smart water systems, utility monitoring, permeable pavement, and abundant natural lighting. Take a tour to view room layouts or Apply now! Living on campus offers a complete environment to serve your academic, personal, and social needs. Your time spent outside of class is just as important for academic success as your class time. If you live on campus, you will likely be more engaged in campus activities, get more out of the college experience and ultimately earn higher grades. 2019-2020 Resident Assistant (RA) Applications are Now Open! Are you a current and continuing Bellevue College student with an exceptional leadership track record? Do you care about the success and well-being of your fellow students? If so, the Bellevue College Housing department invites you to apply for a Resident Assistant position. The RA position is a student leadership role within the Bellevue College …more about 2019-2020 Resident Assistant (RA) Applications are Now Open! 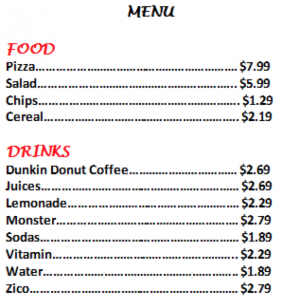 Visit the new Pizza Kitchen! Monday Sept. 17 through Friday Sept. 21, maintenance and contractor staff will be entering suites and apartments to look at bathroom plumbing between the hours of 9 a.m. to 5 p.m. If you have any questions, please call the Front Desk at (425) 564-1700.